Where you get your MBA matters. 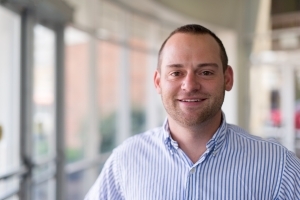 The University of Kentucky MBA program at the Gatton College of Business and Economics is more than just classes and a business education degree. It's a redefining experience designed to help shape our students to be competitive, future business leaders who can contribute cross-functionally among different companies, industries and leadership capacities. 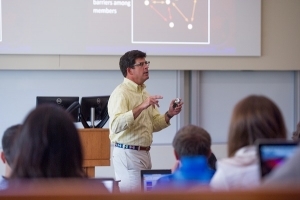 Simply stated, an MBA at the University of Kentucky offers unique advantages and opportunities that are not available anywhere else. We offer a valuable and redefining business education. 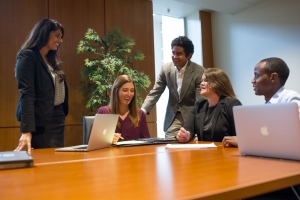 The University of Kentucky MBA is a nationally ranked program with a great reputation. In addition, the UK MBA can be pursued at an affordable price when compared to other institutions that offer similar degrees. However, we offer more than just classes. Through workshops, panel discussions, certification programs, real-world experiences through the Project Connect internship (offered in the One Year MBA), team competitions, MBA Student Association (MBASA), along with leadership speakers series and more, the UK MBA is a redefining experience giving our students the additional tools to be successful career professionals. We offer an instant and influential alumni network. Our program offers extensive networking opportunities through the backing of a loyal university alumni base of more than 300,000 in all 50 states and many countries around the world. We help our students build lasting relationships with our established alumni network of leading business executives which include our Project Connect internship sponsors, MBA Advisory Board, friends of Gatton along with our unique partnerships with regional, national and international companies. We offer a state-of-the-art facility with student resources. Our new $65 million business education complex places the new Gatton College of Business and Economics building among the best business facilities in the country. 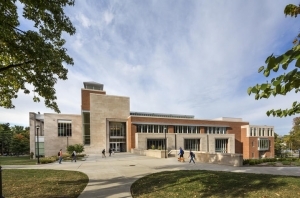 The 210,000-square-foot building is outfitted with high-tech classrooms and laboratories, which modernizes the way students learn and conduct research. In addition to the new building, Gatton is equipped with student resources beyond the classroom, including different professional development opportunities through the Executive Education Center along with the Von Allmen Center for Entrepreneurship (VACE). We offer professional and careeer support. Through the services provided by the Graham Office of Career Management, our UK MBA students get access to our in-house career management and professional development team. 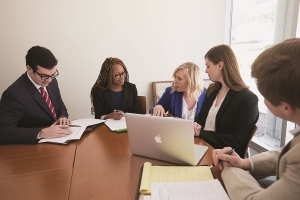 Graham is dedicated to assisting students in their career development process and employment success by working closely with employers who actively seek our MBA talent. In conjunction with the James W. Stuckert Career Center, the Graham Office of Career Management helps facilitate job postings, information sessions, career fair participation, and on campus interviewing. We offer an experienced faculty, staff and team. Our team believes in building relationships with our MBA candidates, while maintaining a professional decorum that prepares our student for personal growth and career success. Our dedicated staff and experienced faculty work closely with our students to ensure that they are getting the necessary guidance and support. Our small classrooms allow our students to feel comfortable in engaging and learning from our faculty who bring valuable, real-world professional experiences into the classroom. We offer a great city for professionals and entrepreneurs. The city of Lexington serves as the healthcare, retail, financial, educational, cultural and entertainment center for both Central and Eastern Kentucky. Many reputable companies and employers have a major corporate presence in the area. 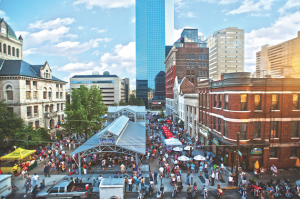 Along with a rapidly growing high-tech sector, Lexington is one of the top cites in the region and nation for young entrepreneurs and business professionals.